Welcome to the oh BABY Giveaway Hop, hosted by Viva Veltoro and Lindsey Blogs. We're joining a number of other bloggers to celebrate the sweetest of deliveries... precious babies! 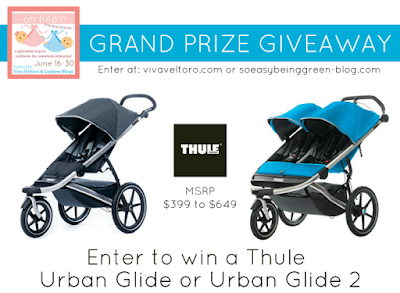 Be sure to hop around to all the great giveaways AND don't miss the AMAZING Grand Prize of a Thule Urban Glide or Urban Glide 2 worth up to $649! 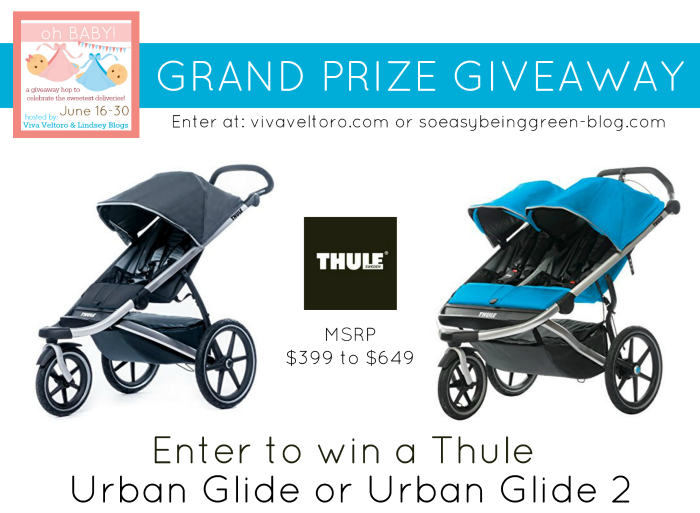 Enter to win one of these amazing strollers at Viva Veltoro or Lindsey Blogs! 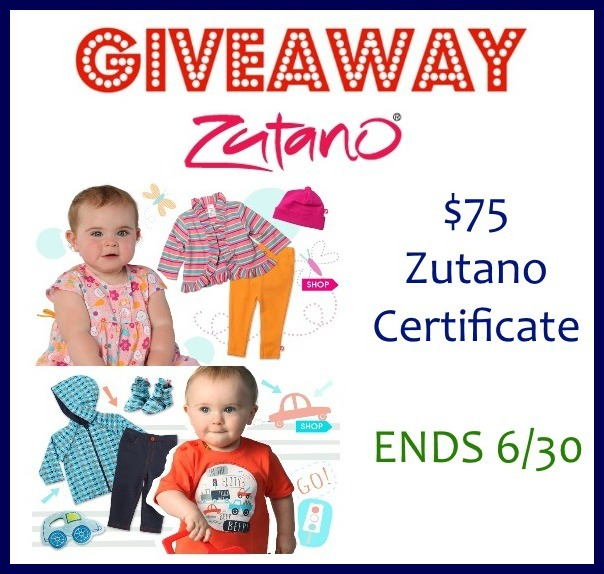 Here on Mommy's Favorite Things we have a $75 Gift Card to Zutano! Zutano has so many adorable clothing items and collections for infants and toddlers alike. From Preemie/NB to 4t, your baby will be adorable from head to toe, no matter the season. Here are some of my favorites for this summer! ADORABLE items. Wonderful quality for an affordable price! Can't go wrong with that!! So Easy Being Green, Viva Veltoro, and the oh BABY participating bloggers are not responsible for sponsors who do not fulfill prize obligations. Navy & Apple Stripe Baby Reversible Hoodie and Baby Pants. LE CHIEN collection is really precious for little baby boys!!! My son would love the beep beep ensemble. My favorite print is the Out to Sea for boys. I love the Sail Boat Toddler Big Pocket Tee. I like the Mighty Dog collection. I like the wide awake little girl owls stuff. i love the pixie collection, as well as the fox and friends collection! I love the Beep Newborn Short Sleeve Body Wrap. My niece is expecting her first baby and her husband is a mechanic. This would just be adorable for them. The beep beep print is so cute! I like the beep beep tank suit for my little guy. Thanks for the chance Heather. I really like the road trip items. I really like the beep beep ensemble! Their Beep Beep collection is SO adorable! I'd love my son to wear it. I love the colors in the Friendly Bird collection! I like the out to sea collection. I love the "Tiny Town" and "Pixie" collection. I like the friendly bird collection! So cute for a little girl! I love the Giardini collection! I love the jungle boogie collection! The Elephantasia collection is my favorite! The Ruffle Bubble an Out to sea collections are cute! I like the Juba print! I like the toddler girls giardini collection! I love the Beep Beep collection! I love the Wild Things print in Toddler clothes!! So super cute!! plus I just love that name... so classy.. I like the Pixie collection. Lucky YOu is my fave. I love the Pixie and Violeta collection! I love the darling dresses collection! My favorite is the Giardini Baby Tessa Tie Dress! They are so cute! I love the Giardini print collection. I love the "Out to Sea", but Elephantasia is really cute too. I love the Out to Sea collection the most!! They are all so cute though! I love the juba ensemble for baby girl but they are all so cute! Like the Wide Awake sets. I really like the Wild Things collection. I like the Hot Pink Multi Stripe Toddler Darling Mini Dress. I couldn't find a collection for it but it's late so I'm sure it's there somewhere. There was a purple one I liked too. i love the girls violetta print collection! so cute and simple! The Cozie Baby Elf Suits are super cute! I like the Owls collection. Love the striped baby tessa dresses.